I wrote sometime back about how to implement HSRP using Cisco IOU and in GNS3, but it has been pointed out that even though it might look like it works, in fact it’s actually a little more hit and miss, with some people having issues, such as not being able to ping the Virtual IP address configured on the HSRP standby group – check out the comments to follow the reference, hopefully you’ll understand why I am writing this subsequent post. HSRP (Hot Standby Routing Protocol) allows you to set up the same SVI (Switched Virtual Interface) on a pair of switches so that you have some redundancy, in the event that one switch is unavailable then the virtual IP address assigned to the standby group will still be available. The virtual IP address is given the same MAC address, which is a combination of the well-known HSRP MAC address (0000:0c07:ac) and the standby group number (in our case this is 10, which is 0a in hexadecimal). HSRP is Cisco specific, other vendors user the industry standard of VRRP (Virtual Router Redundancy Protocol), there is also GLBP (Gateway Load Balancing Protocol) for routers. We will be using two different versions of GNS3 for this, the first is the publicly available 0.8.6 version, because that can still use qemu, which means that we can use the IOSv images to try this out on, as well as the image c3660-is-mz.124.25b referenced in the first article. If you haven’t checked out how to get the IOSv images from onePK into GNS3 then you might want to have a quick read of it. So the goals for this post are to prove that we can get HSRP working between two devices. One should show up as the active and one as the standby, and we should be able to ping the virtual IP assigned to the HSRP group. As per the original post we need to create a multi-layer switch to enable the required functions, this still holds true today, so do have a read over the original article. For each example we will have an HSRP group, number 10, one switch will use the IP address 10.10.1.2/24, the other will use 10.10.1.3/24 and they will have a virtual IP address of 10.10.1.1. The HSRP MAC address will be 0000.0c07.ac0a, so this is what we will be looking for in our ARP table. 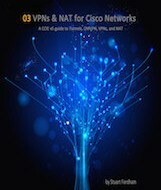 Let’s check out GNS3 first. So arp looks good and we can ping the Virtual IP address for the standby group, with no problems here. Let’s check out HSRP on IOU next. With the same configuration (apart from the priority of 150 on the first device) as before running on the IOU routers do we have the same level of visibility? Again arp looks good and we can ping the virtual IP address again. It just goes to show that image is everything. As Maureen (in the comments below) has pointed out whilst following this blog and my posts about HSRP, nothing is 100% guaranteed when using a virtualized environment. If you try adding a guest to the mix then it probably won’t be able to ping the standby address, and if you do, it probably won’t last. I will go into it in more depth in my post about IOU Images and functions. Finally lets check out IOSv. HSRP is slightly different on IOSv, there are no vlan commands, and instead everything is performed under the interface, so technically it’s not enabling redundancy for a vlan, it’s enabling it for the interface, but the principal remains the same, it still requires the same coding within IOS for the feature to work, and multicast for the communication to flow over. I am including it here because of this. So again, all good and we are three for three. So why am I going over this again, if actually I am only proving that it does work? Well, it’s all to do with mileage, and your mileage may vary. Remember we are dealing with emulated, or virtualized hardware, so there will be issues, especially when we come across things that the router, or more specifically switch, generally offload to ASICs. With all the benefits that Cisco emulation software offers, the one thing it cannot do is truly emulate the functions contained within the ASIC. What’s a running shoe brand got to do with Cisco emulation software? An ASIC is an Application-Specific Integrated Circuit, not to be confused with ASICS the running shoe manufacturer. These ASICs are so complex that they can (depending on the type of ASIC) be referred to as a system on a chip. It is this off-loading that makes running a virtualised switch, with the full functionality and speed as a proper hardware one, extremely difficult to implement. 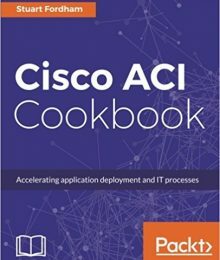 The most common Cisco specific ASIC you will encounter is the port ASIC, and these handle traffic forwarding, QoS and ACL lookups. A number of switches have within these port ASICs their TCAM, which holds the IPv4 and IPV6 addresses, MAC addresses, and Access Control Entries. 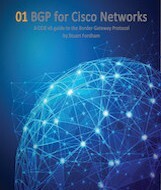 For a greater understanding of packet flow within a switch and how this is governed by the ASIC then have a look at this PDF from Cisco Live. So in short, we can get close, but close is a very relative term, finding the right IOU or GNS3 image can be a bit of a mission. It will be interesting to see how CML stands up to higher-level switch functionality when it is finally released. 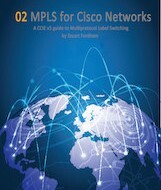 One would think that as it is the basis for the new version of the CCIE exam then it will be supported. Time will tell on that! In an ideal world we would all have the required hardware, it wouldn’t cost more than a cup of coffee, and it would fit into your pocket. But for the moment we’ll have to see how far our mileage gets us. HSRP using L2 IOU as described on your web page works as far as you tested it. But if you connect a PC in vlan 10 to either of the switches you will not be able to ping the Virtual IP address after 30 seconds. Can I recommend you edit your otherwise excellent web page to reflect this crucial limitation. This limitation in effect makes HSRP unworkable. I will lab it up and if I get the same then I will amend the post. HSRP doesn't work, but not because of ASICs. Try this: HSRP1 <> L2 switch <> L2 switch <> HSRP2. Then do a packet capture link by link. You'll see that L2 switches eat up HSRP packets. I.e. HSRP packet leaves the interface, reaches the L2 switch, and then it's not being forwarded further. However L2 switches don't have any problems with passing STP, IPv6 HSRP or OPSF packets.